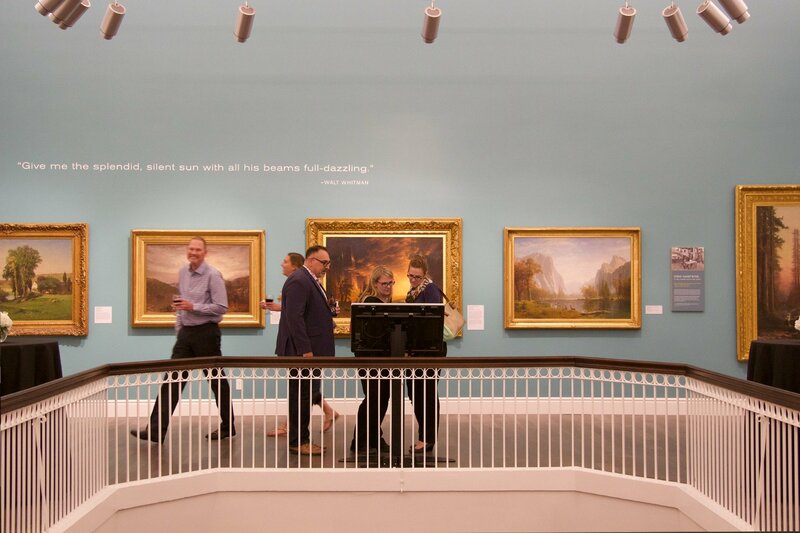 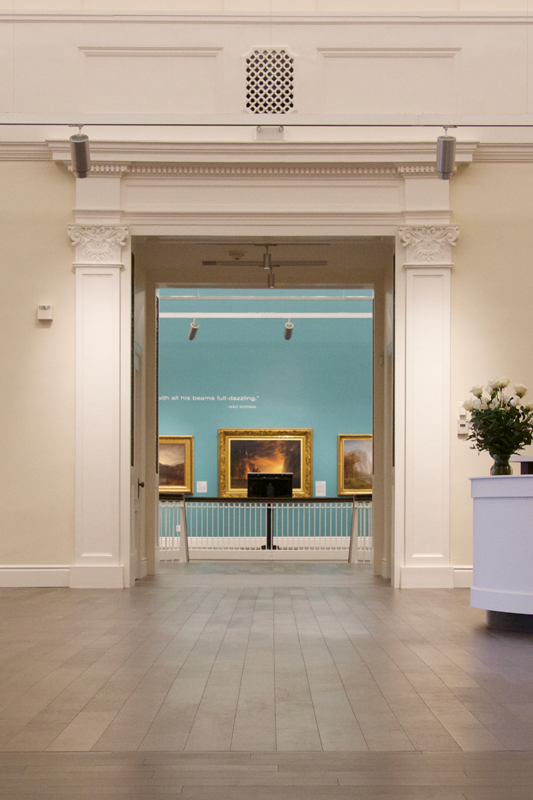 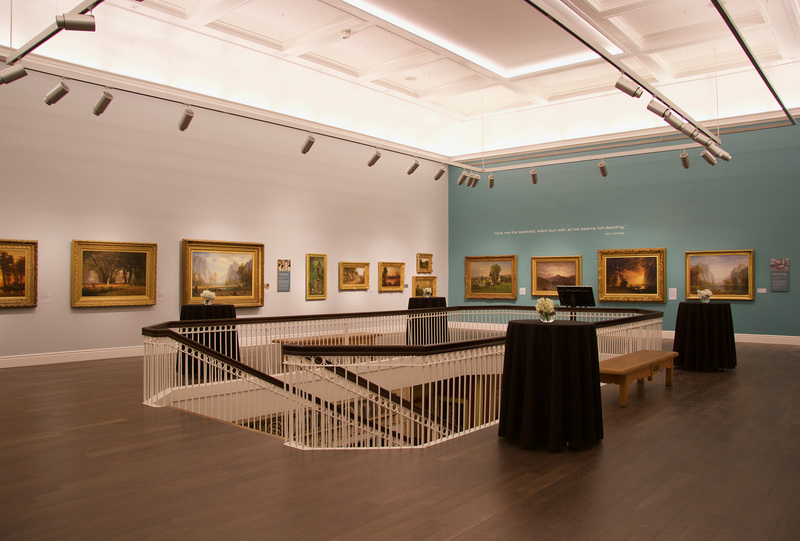 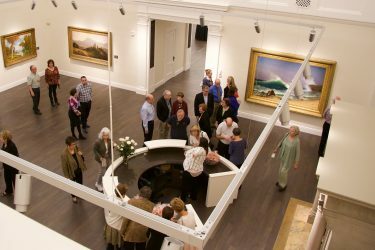 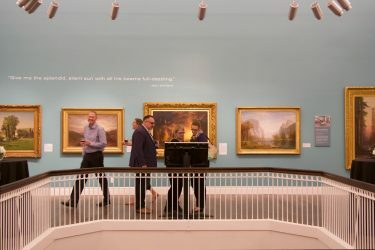 We reimagined the Haggin Museum’s 19th- and 20th-century American and European art galleries using thoughtful curation, bold accent walls, and new LED lighting to enrich the visitor experience. 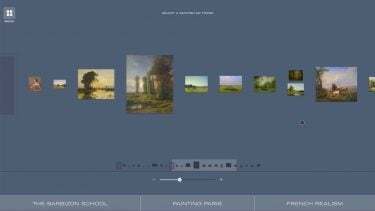 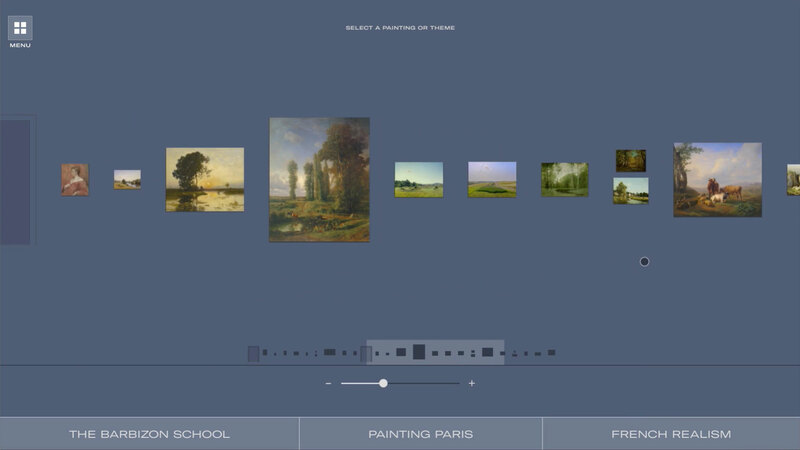 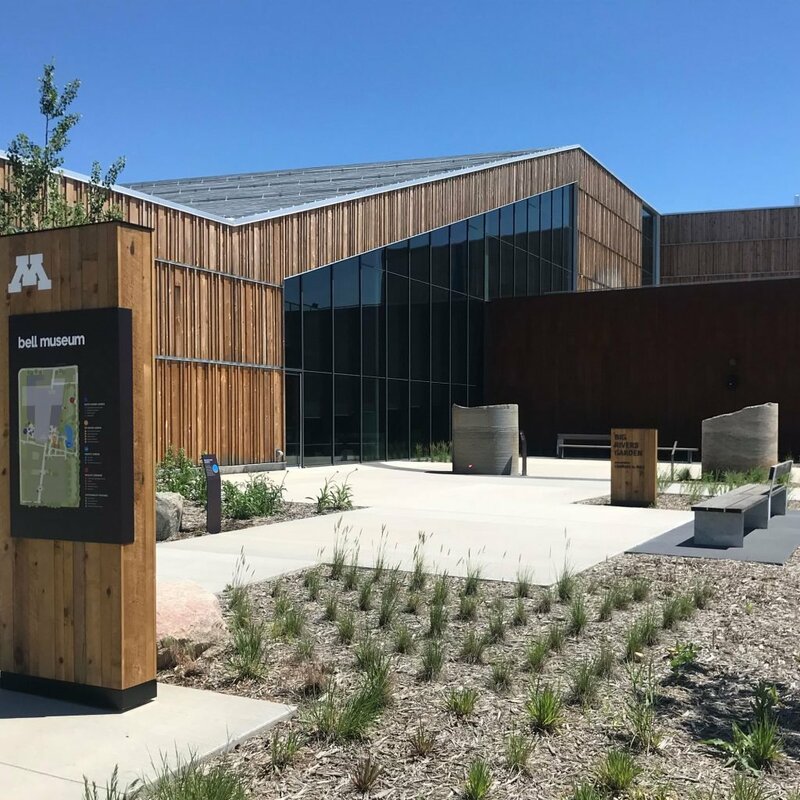 We created new interpretive themes and a digital interactive in each art gallery to encourage deeper exploration of the museum’s impressive collection. 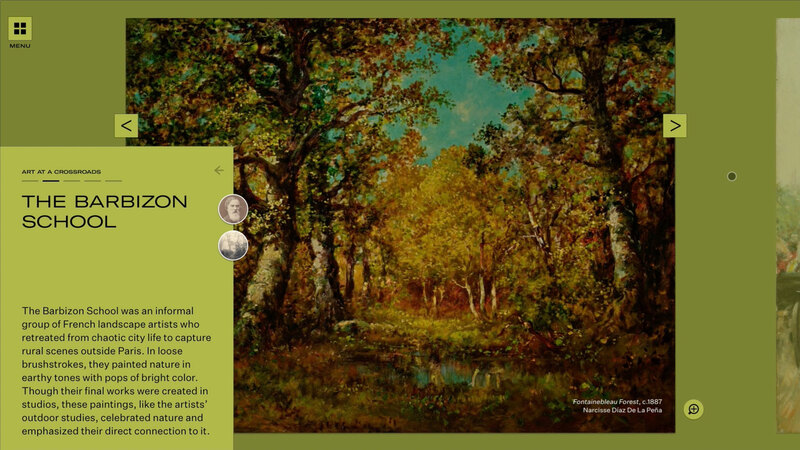 The wall graphics and touchscreens weave together art history, family narratives, and historical context to illuminate the stories behind the galleries’ paintings. 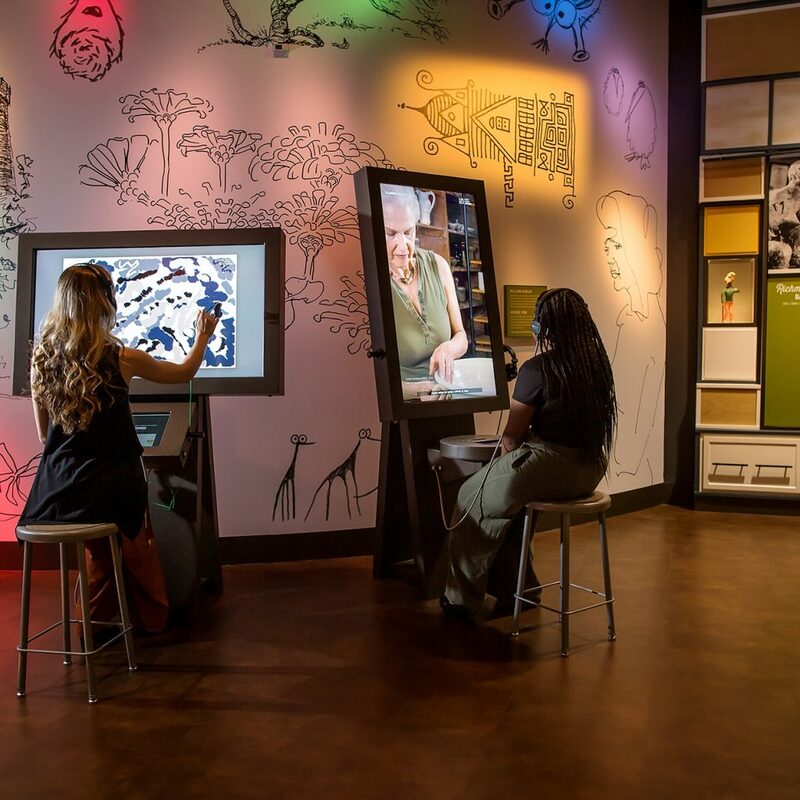 The immersive digital experience entices visitors to look more closely at the art surrounding them. 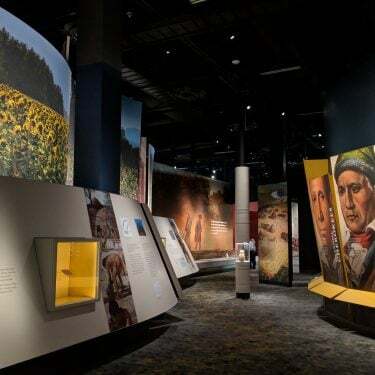 Interpretive introductory wall panels and quotes frame the gallery experience and help visitors understand the art in each space. 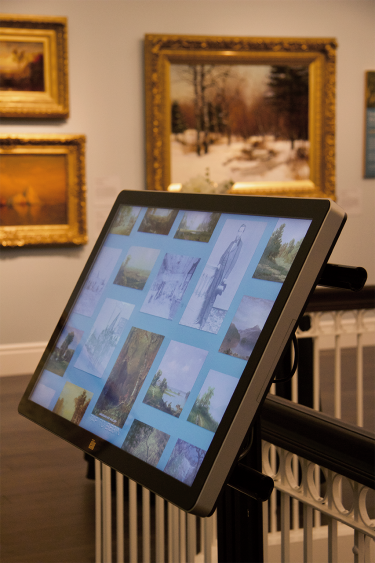 Simple digital features like this magnifier reveal paintings’ fine details that visitors often miss. Brief biographies and portraits provide visitors with insight into the artists’ lives, careers, and the worlds in which they lived. We created a clear connection between the gallery layout and the digital experience: visitors can browse the paintings as they appear in the gallery.